Posted by Barbara Prime at 12:08 a.m. I love the colors! What are they called?? July 22, 2012 at 7:45 a.m. 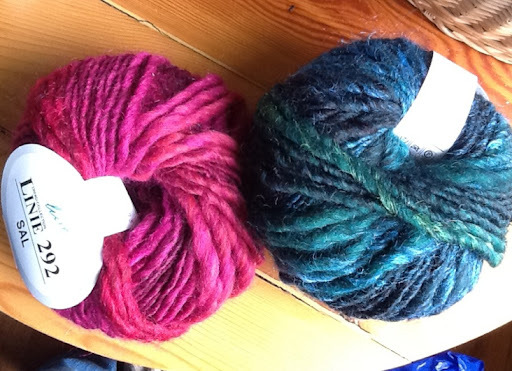 Sadly, this yarn just numbers the colour-ways. I might call them something like garnet and emerald, since they have a lovely sparkle to them! July 23, 2012 at 4:13 p.m.